R2X-it's the industry's most innovative stain and soil repelling system and the product of years of research and testing. Shaw's patented and exclusive R2X system goes beyond conventional repellents that only protect the surface of the carpet. With R2X, carpets are armed with total fiber coverage, offering complete protection from the top to the bottom of the yarn. This total fiber coverage offers unprecedented protection against household spills and everyday soiling. With R2X, spills that reach the base of the yarn don't penetrate and wick back to the top as they do with conventional solutions. 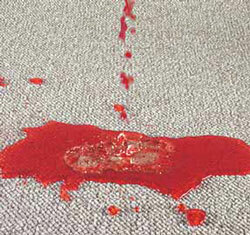 In testing, R2X demonstrated superior stain resistance on two levels. First, it provides better initial protection. Second, it allows more time to react to a problem. Another significant benefit of R2X is its effectiveness with polypropylene. 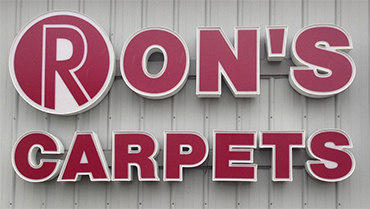 Most polypropylene carpets have an inherent tendency to attract soil. Topical soil treatments are only "skin deep," and the limited protection they offer wears away after cleaning or normal wear and tear. In contrast, R2X continues to perform well even after repeated cleanings-with both nylon and polypropylene-when the performance of ordinary systems begins to diminish. And of course, Shaw's warranty protection ensures customer satisfaction, time after time. R2X - Dirty Science. Clean Results.